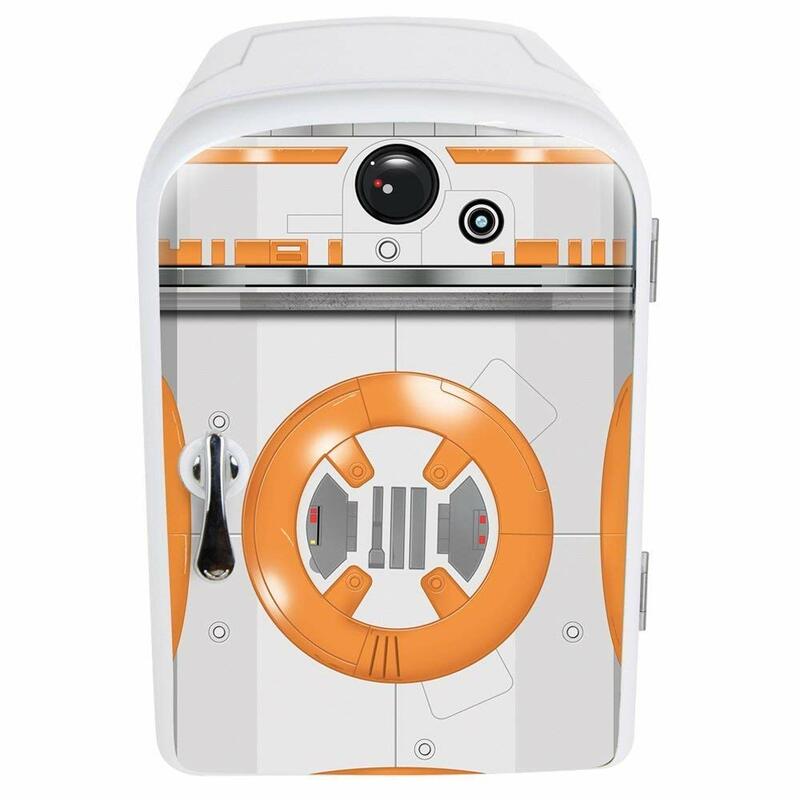 This Bright And Fun Star Wars Mini Fridge is sure to impress any Star Wars fan. The fridge keeps drinks cold and is is also an officially licensed item. This means that any collector is sure to love it. You will love this mini fridge because it can keep up to six cans of drink cool for you. Perfect for any home or professional office. 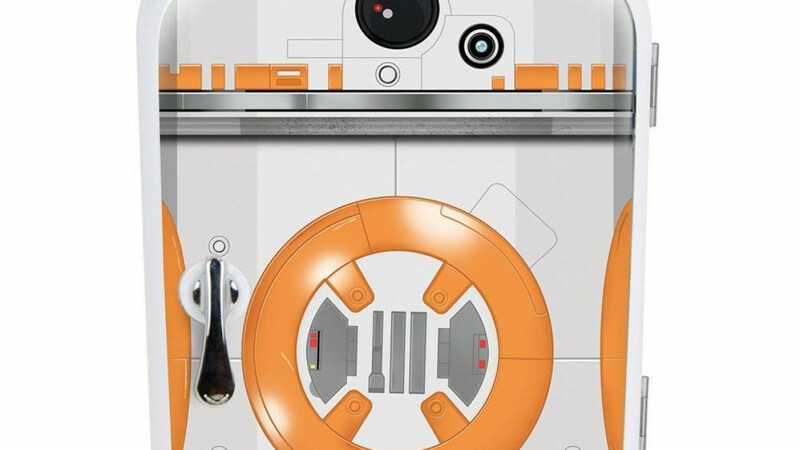 Any office that already features one or more Star Wars items is sure to be improved by the presence of this fun fridge. If you are looking for a fun and useful gift this is a great idea because it is both of those things. Your favorite nerd is sure to appreciate it. Some people are particularly difficult to buy for so the unique qualities of this fridge make it an interesting choice. The bright color is fun and sure to be enjoyed. You can also use this fridge when you are travelling because it comes complete with a car adaptor. A great way to ensure that you always have some cold drinks handy. This fridge is not like other fridges because it does not just cool your drinks. There is also a heat function. Most fridges are only designed to cool.